Spring has sprung, and there are so many reasons to celebrate. The temperature is going up. It’s staying light out later in the day. And summer is, of course, right around the corner. But there are a few downfalls that come along with the season. One of them is that homeowners are often forced to deal with roofing issues in the spring. Have your roof inspected if you experience any of these problems. As soon as the temps start to rise in the spring, leaks in your roof can present themselves. In the winter, ice and snow prevent leaks from becoming noticeable. But once the ice and snow on your roof melt, the leaks will become apparent. It’s a good idea to do a clean sweep of your home in the spring and check for any signs of leaks. Stains on your ceiling or walls could be an indication of a serious problem. Your roof is missing shingles. The winter winds can wreak havoc on your roofing shingles. 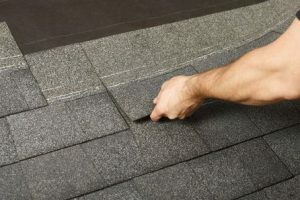 They can pick up shingles that have been weakened by snow and ice and rip them right out of place. You don’t want to wait too long to replace them. When it starts raining all the time in the spring, your roof will be subjected to a lot of water, and without your shingles, there’s a chance that water could make its way into the lower levels of your roofing and potentially even your home. Your roof has become a home for wildlife. Small animals like squirrels, chipmunks, and even birds will often do whatever it takes to find shelter in the winter. That often means burrowing their way into your roofing and staying there. If you see a lot of wildlife activity on or around your roof, you should take a look to see if you notice any spots where animals could be coming in and out. They could do some real damage if they aren’t removed quickly. No matter what kind of roofing issues you have this spring, Roofing by Bruce can take care of them for you. Call us at 570-424-8891 today to arrange to have a roofing expert come to your home.